Does Too Much Data Make Us Myopic? 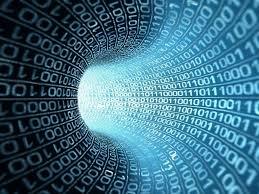 “Big Data” was perhaps one of the hottest topics we saw at marketing conferences across North America in 2013. Have you taken the time to harness data effectively when it comes to making strategic decisions? Marketing Director Liz Teodorini takes us through some important considerations when using ‘big data’ for your business. Do you think that our ever-increasing access to data is making us less able to step back and make strategic decisions? A recent article in the Harvard Business Review that caught my eye titled “How Marketers Can Avoid Big Data Blind Spots” makes the point that all that data makes us tend to want single indicators to tell us what we want to know. How many times recently have you seen a new index for something or other? The problem is this tendency makes it harder to get at ambiguous or complex situations. A similar article I read a while back uses the example that more public parks to make it easier to exercise might be the real way to fight certain diseases, but we are more used to data derived from formal health care settings to evaluate whether we are taking adequate measures, so that’s what we will probably talk about. We see this phenomenon in action with our marketing department service clients. Sometimes an organization will be very interested, for instance, doing a survey of potential clients. This might be a fantastic idea, and we often do just that type of project. However, if there isn’t a clearly formulated set of research objectives that can, in fact, be answered by a survey, there isn’t much point. If the real questions that need to be answered are about the kinds of strategic choices or visions of the future that a survey respondent just can’t see from their perspective, a survey will muddy the waters more than anything else, and may be completely silent on the most important issues. A survey probably can’t tell you how many product lines are too many for you to execute on effectively, for instance. That insight is going to come from internal analysis. I’ve seen clients seek more and more data when faced with difficult strategic decisions like how they will tackle the market, what they have appetite for and what their ambitions are. Looking for more data is a way of instilling analysis paralysis, in a way–avoiding the judgement calls that are always a part of doing business in a world without data sufficiency. There’s an old parable I recently came across in Discover Magazine’s article “Why Scientific Studies Are So Often Wrong: The Streetlight Effect,” of the drunk man looking for his keys under the streetlight instead of in the unlit park, because that’s where the light is. It’s tempting to keep doing that, instead of developing a greater comfort level with making our decisions with ambiguity. How do you make big decisions in your business? Do you think you’re harnessing data effectively when it comes to making strategic decisions? Where do you find lack of data most frustrating? Are you overwhelmed with data?